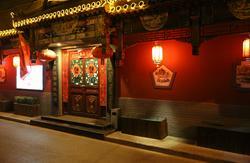 No more than 30 meters to the busy South Luogu Lane and almost 1-minute-walk to the noisy Gulou East Street, Hutongren Courtyard Hotel hides itself quietly and peacefully in a traditional hutong, close to the old city's daily life. The hotel has no more than 10 rooms with uniquely design for every room. 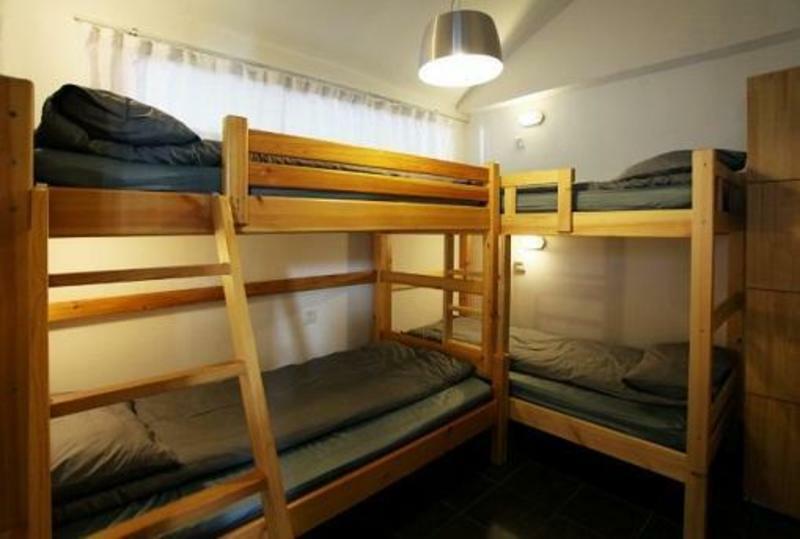 Each of the rooms has a name related to Chinese Tea, custom-made Ming-style wooden furniture, underground heating, air-conditioning, free wifi connection. Have to mention about the custom-made Kingkoil mattresses are exactly the same with Westin Heavenly-bed Mattresses. It also impresses with its garden terrace, where you will find changing of four seasons from the hundred-year-old tree. As the designer's wish to share her understanding of pure ancient oriental spirit, details of this courtyard has every tiny earthy connection with our mother nature. Ju Er Hu Tong（小菊儿胡同）'. The price from the airport to here is about 120RMB. DongzhiMen. And then take a taxi from DongzhiMen to our hotel, costs rmb15. Please tell the driver our address that is mentioned above. nonregular taxi, it always take much more than 120RMB. Take Bus No. 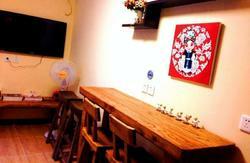 107, 635, 124 to Baochao Hutong station, walk east about 200 meters to South Luogu Lane. Go inside South Luogu Lane about 50 meters, Hutongren is in the second alley on your left. 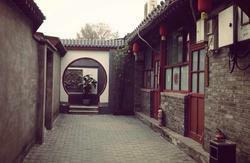 Attention: There is a gong and drum at the entrance of our Hutong, that is the sign of us.